On Monday the 10th of July 2017 newly Ordained Fr. Philip Mulryne OP celebrated his First Mass in his home parish in St Oliver Plunkett Church in Belfast. It was a great occasion and many family, friends and neighbours joined for the occasion and filled the church to the brim. Please find some photo’s of this great celebration below. 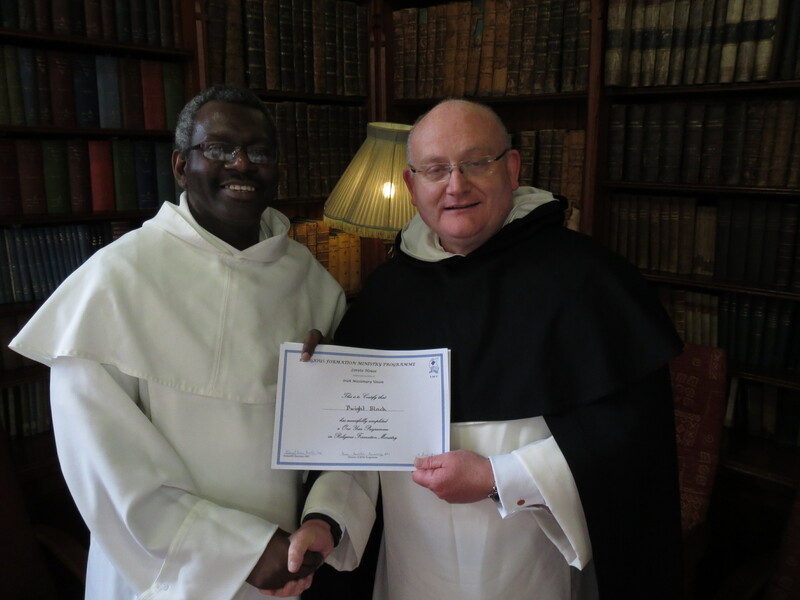 Photo’s can be used for publication once the Irish Province of the Dominican Order and this website http://www.dominicans.ie are credited. On Saturday November 5th Brs. 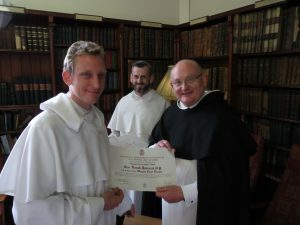 Matthew Farrell and Jesse Maingot received the ministry of lector while Br. Gaweł Włodarczyk of the Province of Poland received the ministry of acolyte. Fr. Gregory Carroll reminded those receiving the ministry of lector that as readers and hearers of God’s word, they had the responsibility of proclaiming the word of God in the liturgical assembly, as well as instructing children and adults in the faith and preparing them to receive the sacraments worthily. Fr. Gregory reminded all the brothers that in proclaiming God’s Word to others, that they should accept it themselves in obedience to the Holy Spirit. He encouraged all the brethren attending that they should meditate on the Word of God constantly, so that each day they would have a deeper love of the scriptures and in all we as Dominicans say and do show forth to the world our Saviour, Jesus Christ. When speaking to Bro. Gaweł, Fr. Gregory reminded him as a man chosen for the ministry of acolyte he would have a special role in the Church’s ministry. It was now his responsibility to assist priests and deacons in carrying out their ministry, and as a special minister to give Holy Communion to the faithful at the liturgy and to the sick. By receiving this ministry Br. Gaweł should endeavour to understand the deep spiritual meaning of what he was undertaking and to offer himself daily to God as a spiritual sacrifice acceptable to him through Jesus Christ. Again meditating on this ministry Fr, Provincial reminded all the brethren that in performing our various ministries we should show a sincere love for Christ’s Mystical Body, God’s holy people, and especially for the weak and the sick. Bro. Aaron Zahra OP of the Province of Malta assisted Fr. Gregory and Fr. Terence Crotty OP, student master. 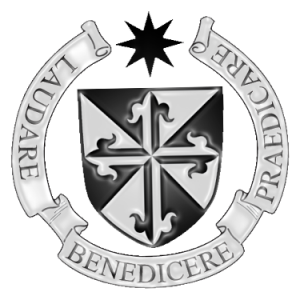 On the Feast of Saint Thomas Aquinas, the 28th of January, the students and staff of Newbridge College came together for a Mass in the College Church to celebrate the 800th Jubilee of the Dominican Order. 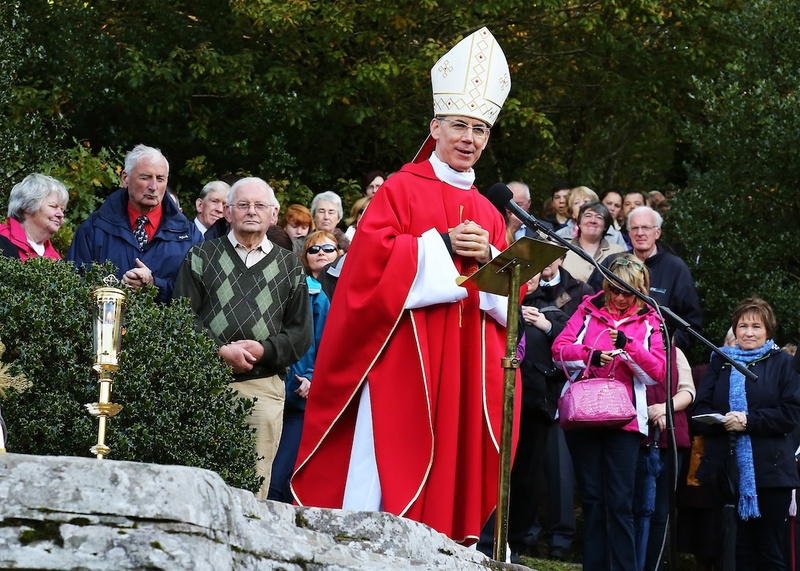 Bishop Denis Nulty DD, Bishop of Kildare and Leighlin, celebrated the Mass on the occasion, and Fr. Gregory Carroll OP, the Provincial of the Irish Province, Fr. 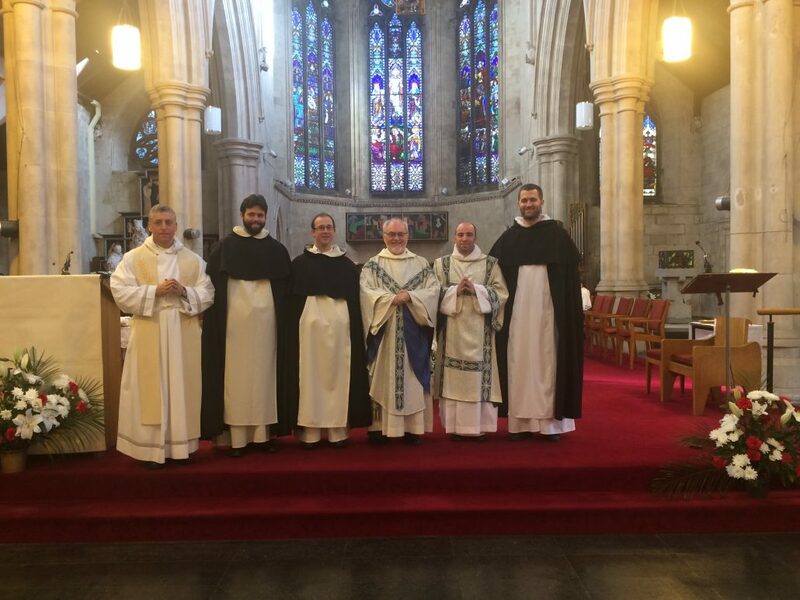 Paul Dempsey, the parish priest of Newbridge, and members of the Dominican community also concelebrated. Please find below some pictures taken during the Mass. 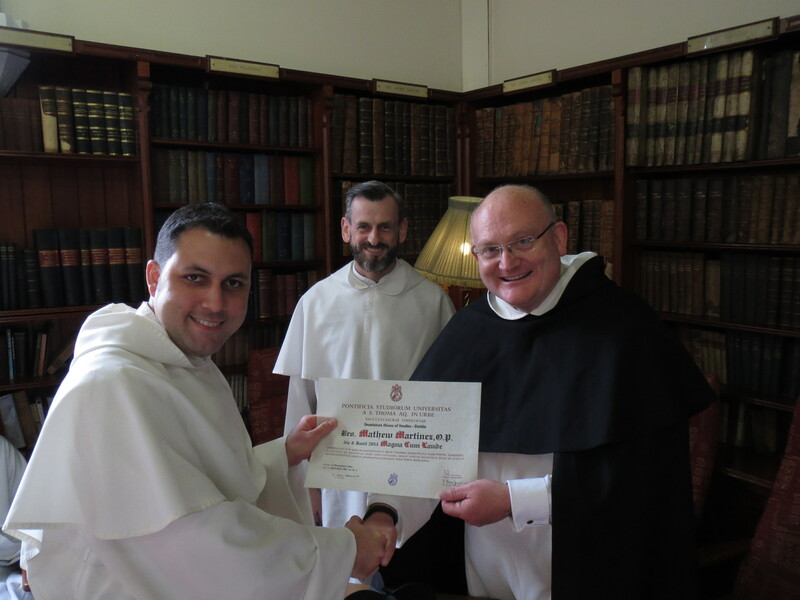 The Irish Studium, St. Saviour’s in Dublin, hosted and Aquinas Lecture on the Feast of St. Thomas Aquinas. The lecture was delivered by Dr. Rik Van Nieuwenove, Lecturer in Theology at the Department of Theology and Religious Studies, Mary Immaculate College, Limerick. The lecture, entitled “Contemplation, Learning and the University in Aquinas”, was followed by the celebration of Solemn Vespers in the church with the community of St. Saviour’s. 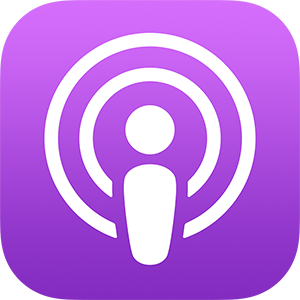 An audio recording of the lecture is available. 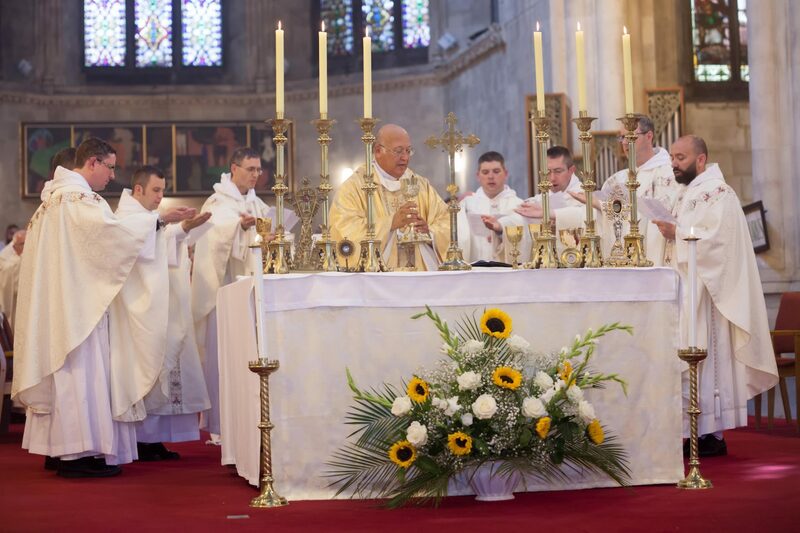 Nearly two hundred people gathered with the local Dominican brethren and the local chapters of the Dominican laity at a Mass celebrated by the Apostolic Nuncio to Ireland, Dr. Charles Brown to commemorate the Irish martyr Fr. Thaddeus Moriarty OP. At the Mass rock where he was captured they gathered to celebrate Mass and to pray for his beatification. On Sunday, the 26th of June, several of the parishes in Tallaght took part in the Corpus Christi Procession at St. Mary’s Dominican Priory. Last weekend we continued with the recording of our series on the Creed. We got another 5 recordings finished, so we are half way. Hopefully we will be able to finish all the recordings of this first series in June, and subsequent start publishing them towards the end of the summer after all the editing work is done. The series, called ‘Credo’ goes through the Creed, line by line, explaining some important aspects of our Catholic Faith.